You can never know enough about your customers. It goes without saying that User Centred Design has revolutionised product development. But how much do you really know about your customers? How much time do you spend with people to truly understand how they live; their needs, hopes, desires and motivations, or to truly empathise with the people you are hoping to reach; all the stakeholders that will impact your service. Most importantly the end users, but also the service providers, installers, maintenance crew etc. Spend time with them, observe, empathise and show genuine curiosity. Meet them on their terms and tune into their lives so you can find rich insights that will guide how to build your service and turn your audience into advocates. At Design Partners we believe in exposing our designers to users through ethnographic research as the best method for uncovering meaningful insights. 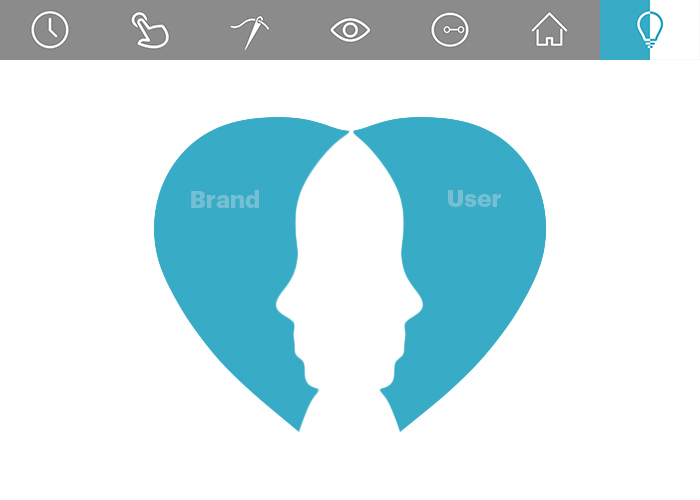 However important and valuable it is to tune into users, there is another side to the equation that has equal weight. What do you stand for? Having worked with hundreds of brands across the globe, a universal problem we continue to encounter is the lack of clarity on what a brand stands for. This is not surprising. Its hard to make a call and stand for something; to edit to a clear set of values and a brand promise in the face of competition and a rapidly shifting landscape. However, the most successful and growing brands out there put great focus on clarifying their message. Firstly, so that everyone within the company believes in the brand ambition and plays their role to build momentum behind it. Secondly, to project their beliefs with confidence so their customers can build trust in the brand and align with their values. Great design is about clarity of intent: Tune-in to your customers and know what your brand stands for. At Design Partners we grow brands by designing exceptional product experiences that make life better. If your ambition is to make better product experiences we would love to meet you. Click here for design principle six.